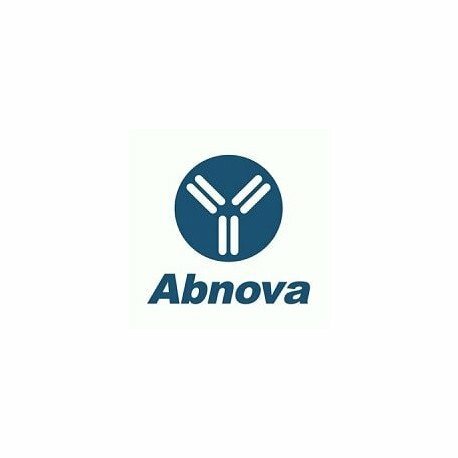 Product description: Mouse monoclonal antibody raised against a full length recombinant CCNA1. Immunogen: CCNA1 (AAH36346, 1 a.a. ~ 464 a.a) full-length recombinant protein with GST tag. MW of the GST tag alone is 26 KDa. Quality control testing picture note: Western Blot detection against Immunogen (76.78 KDa) . Application image note: Proximity Ligation Analysis of protein-protein interactions between PTK2 and CCNA1. HeLa cells were stained with anti-PTK2 rabbit purified polyclonal 1:1200 and anti-CCNA1 mouse monoclonal antibody 1:50. 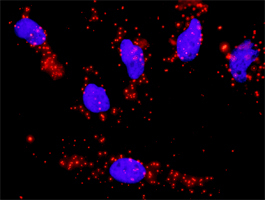 Each red dot represents the detection of protein-protein interaction complex, and nuclei were counterstained with DAPI (blue).